Because you may spend nearly 40 hours a week at your job, it is important to consider whether or not your work environment may be affecting your ability to hear over time. Because you may spend nearly 40 hours a week at your job, it is important to consider whether or not your work environment may be affecting your ability to hear over time. While a quiet office may not present a threat to your hearing, many other career fields may expose you to excessive amounts of noise pollution and loud sounds throughout the day. Although nearly every occupation includes its own set of effects on your health, it is crucial to preserve and protect your ability to hear as long as possible. If you work in one of the following fields, consider the many ways in which the everyday tasks and setting of your job may be putting you at risk for hearing loss, as well as how you can still protect your hearing as you work moving forward. Warehouse and manufacturing jobs often involve noisy settings with loud machinery and heavy duty equipment making sounds that reverberate off of the walls of the warehouse. 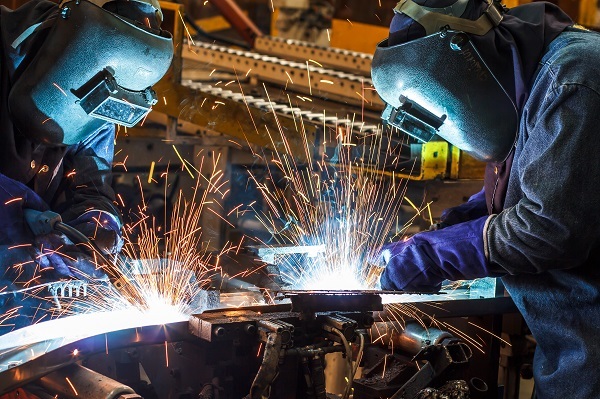 These sounds compounded with the noises of workers talking loudly and the slamming of machine parts can create significant amounts of noise pollution which can be detrimental to your hearing over time. Each of these factors combined makes hearing loss a common occupational illness among workers in this particular industry. With this, many may not even recognize the damage to their hearing until it is too late, and by then their hearing loss may have progressed to a worsened level. In this profession especially, earplugs or noise-reducing headphones are essential to protecting your hearing on the job. Construction sites are among some of the noisiest work environments, as the sounds of drilling, machinery, and traffic surrounding the site often present a significant risk to hearing. Hearing loss is especially prevalent amongst employees in this occupation, as the sounds are nearly unavoidable in their everyday work. Employees who fail to protect their hearing by wearing the right types of protection can experience major effects of hearing loss over shorter periods of time. Because construction sites are often temporary, many employees skip out on this critical step of protection while working. Loud music, excessive noise from crowds, and the echo of loud noises in an arena or enclosed space can also lead to hearing loss for many people working in the music and entertainment industries. Much like construction sites and warehouse jobs, earplugs and other protective measures such as reducing your exposure to sounds for prolonged periods of time are necessary to protect your hearing. This entry was posted on Friday, July 20th, 2018 at 12:20 pm. Both comments and pings are currently closed.